What does $4,000 rent you in San Francisco? We've rounded up the latest rental offerings via rental site Zumper to get a sense of what to expect when it comes to scoring an apartment in San Francisco if you've got $4,000/month earmarked for your rent. First, check out this 900-square-foot one-bedroom, one-bathroom abode that's located at 3337 Clay St. that's listed for $4,000/month. In the condo, you'll find hardwood floors, high ceilings, a dishwasher, a fireplace and wooden cabinetry. The building has on-site laundry, garage parking and storage space. Cats and dogs are not welcome. According to Walk Score's assessment, the surrounding area is extremely walkable, is quite bikeable and boasts excellent transit options. Located at 1310 Fillmore St., #505, here's an 827-square-foot studio condo that's also listed for $4,000/month. The apartment features hardwood floors, high ceilings, a dishwasher, in-unit laundry, stainless steel appliances and granite countertops. Building amenities include assigned garage parking, outdoor space, a swimming pool, a fitness center, an elevator, secured entry, concierge service and extra storage space. Cats and dogs are not allowed. According to Walk Score, this location has excellent walkability, is great for biking and boasts excellent transit options. Listed at $3,995/month, this one-bedroom, one-bathroom apartment is located at Jefferson and Webster streets. Apartment amenities include hardwood floors, a dishwasher, a walk-in closet and wooden cabinetry. The building boasts on-site laundry, garage parking and an elevator. Good news for animal lovers: both dogs and cats are negotiable here. Per Walk Score ratings, the surrounding area is friendly for those on foot, is quite bikeable and is a haven for transit riders. 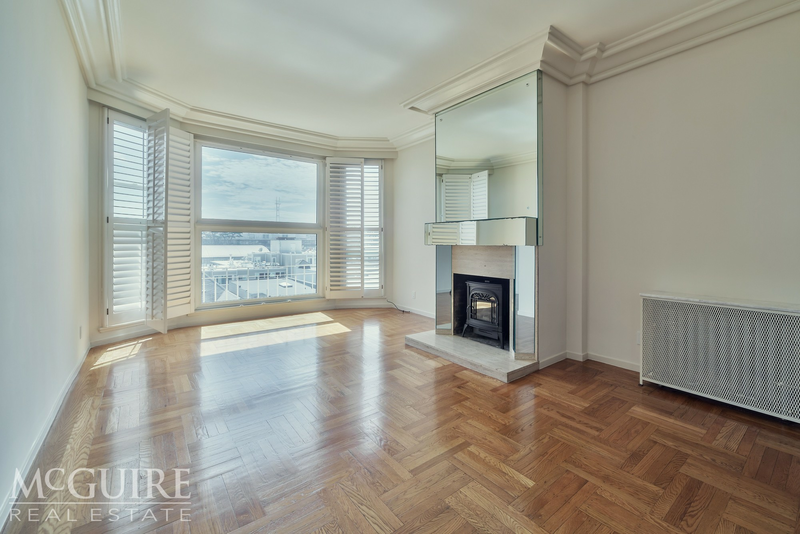 Next, there's this one-bedroom, one-bathroom condo situated at 220 Lombard St., #414. It's also listed for $3,995/month for its 976 square feet of space. When it comes to building amenities, expect on-site laundry, assigned garage parking, outdoor space, a fitness center, a roof deck, an elevator, extra storage space, secured entry, a business center, a door person, package service and a residents lounge. In the unit, there are a walk-in closet, a balcony, a dishwasher and carpeting. If you've got a pet, you'll be happy to learn that cats and dogs are welcome. Per Walk Score ratings, the area around this address is quite walkable, is fairly bikeable and has excellent transit. Finally, located at 3401 Clay St., here's a 900-square-foot one-bedroom, one-bathroom condo that's listed for $3,950/month. In the unit, you can anticipate a dishwasher, a walk-in closet, a fireplace, central heating, carpeted flooring, stainless steel appliances, wooden cabinetry and high ceilings. The building offers on-site laundry, assigned garage parking and an elevator. Feline companions are welcome. Walk Score indicates that the surrounding area has excellent walkability, is very bikeable and has excellent transit.